Pantene maker Procter & Gamble (P&G) has introduced its first new retail hair care brand globally in four years, and the launch kicks off in the Mother City. Inspired by and co-designed with women in Cape Town during the city's water crisis in early 2018, the range is formulated to be used without the need for any water. 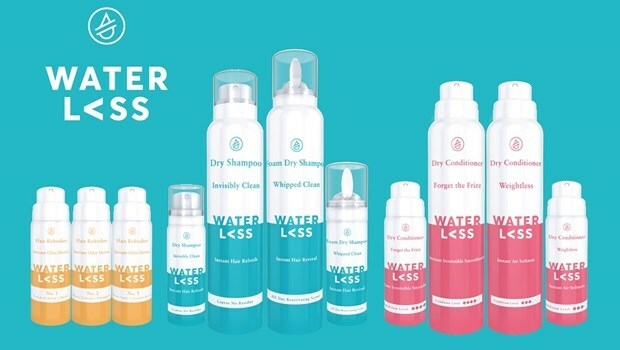 The new brand, called Waterless, includes a lightweight foam dry shampoo, a dry shampoo spray, a range of dry conditioners and a range of alcohol-free hair refreshers. According to P&G Beauty, the collection is designed to cater to the different hair care needs of women of all hair types and ethnicities. The Waterless brand was recently previewed by P&G’s chief marketing officer, Marc Pritchard, during the World Economic Forum in Davos, Switzerland as part of the new "innovation agenda” from P&G, the 50L Home, that was announced during the Bloomberg Year Ahead Event. The 50L Home, initiated by P&G, will bring together companies, policymakers and communities to develop and scale innovations for the home that help solve the urban water crisis. According to the World Wildlife Fund, only 3% of the world’s water is fresh water and by 2025 two-thirds of the world’s population may face water shortages. Market research firm Mintel has also found that 27% of consumers are now trying to reuse or use less water. The Waterless brand is also joining forces with The Nature Conservancy to champion water preservation by supporting The Greater Cape Town Water Fund. This new initiative from The Nature Conservancy focuses on addressing the Greater Cape Town region’s long-term water security concerns while tackling near-term social and ecological priorities. The Waterless collection will be available exclusively at select Clicks stores from this month.